An increase in community tourism, as well as social media use, has driven leading small group adventure operator, G Adventures, to lead the charge in educating people on how to interact responsibly with children when they travel - and many of the guidelines will surprise well-intentioned travellers. The campaign was announced on November 20, 2018, to tie in with UNICEF World Children's Day. Taking selfies with children, geo-tagging their location on social media, visiting school classrooms, and giving money and gifts directly to children are all potentially harmful activities well-meaning travellers need to stop doing. These are detailed in G Adventures' new, industry-leading, child welfare guidelines, which were developed in partnership with international child protection experts, ChildSafe Movement, and Planeterra Foundation. On November 5, 2018, G Adventures became the first global travel company to be officially ChildSafe Certified. This is in recognition of the work that has been undertaken to safeguard children's well-being, both with G Adventures' travellers and staff. A new short, shareable, video has been launched to support the campaign, and travellers are being encouraged to sign a pledge to be more responsible when interacting with children in the destinations they travel to. 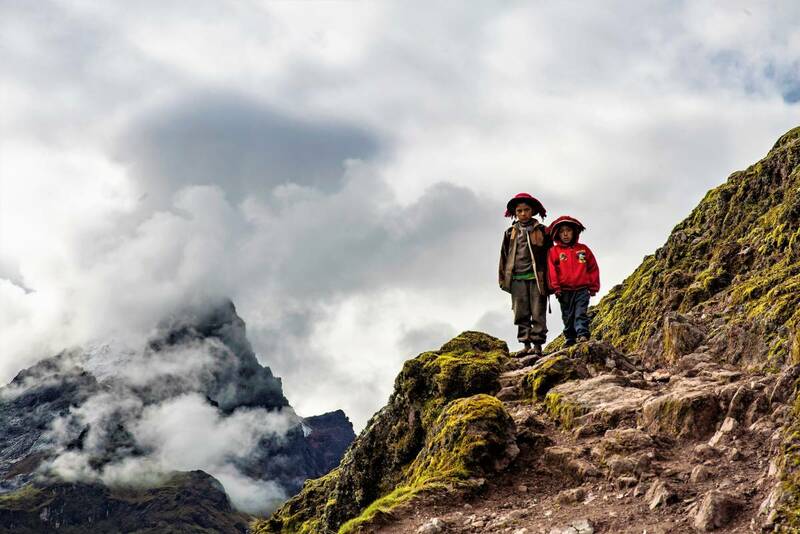 Photos - to local children, travellers are strangers. Be considerate and don't take photos with children without their parent or guardian's permission, and don't geotag children as this can make them susceptible to trafficking and desensitise them to strangers. Classrooms - interrupting a lesson is never okay. There are better ways to learn about local life than school classroom visits. Handouts and gifts - it's easy to think a dollar or a gift helps children, but travellers should think about the long-term effects. Over time, this behaviour can force children to stay out of school to beg, leading to a cycle of dependency and poverty. Instead, donate to organisations that help youth and their families, such as G Adventures' non-profit partner, Planeterra, which supports a number of youth and family projects globally. Safety - if you see a child in a situation that just doesn't seem right, do the right thing and report it right way. Think about what you'd do in this scenario at home - if you wouldn't do it here, don't do it anywhere. Kids are kids, no matter where they live. Jamie Sweeting, vice president of social enterprise and responsible travel at G Adventures, says the guidelines are the latest in G Adventures' 'G for Good' suite of responsible travel initiatives, which are designed to help people travel better, and they complement guidelines for protecting wildlife, and Indigenous people and cultures. “As a travel company we want to make sure we're doing the best we can. With ChildSafe Movement's help, we've developed a policy based on the global guidelines to govern all G Adventures' operations, which is helping us make appropriate changes in how we educate our travellers, as well as our office and field staff. “We've also swept our digital assets and owned channels to ensure all our media complies, have removed all school classroom visits from our itineraries, and have completed an internal training program for all staff. We've set up a task force for monitoring and reporting compliance with our policy, and it will be an ongoing effort to continue to live up to our ChildSafe Certification,” says Sweeting. As a leader in responsible travel, G Adventures is also encouraging other businesses in the travel industry to adopt its Child Welfare and the Travel Industry: Global Good Practice Guidelines. A wide range of contributors provided their expertise and insights into the guidelines, including the United Nations Children's Fund (UNICEF), which welcomed their introduction.